Serena Williams, who stirred up a sexism debate over the controversial women's singles US Open final, has received support from Women's Tennis Association chief executive Steve Simon. Simon said that the issue has brought forward the question of whether different standards are applied to men and women in tennis. He said that there should not be any difference in the “standards of tolerance provided to the emotions expressed by men vs. women”. He added that all players should be treated the same. Former tennis great Billie Jean King also supported Serena for calling out the double standard. “When a woman is emotional, she’s “hysterical” and she’s penalized for it. When a man does the same, he’s “outspoken” & and there are no repercussions. Thank you, @serenawilliams, for calling out this double standard. More voices are needed to do the same,” King tweeted. 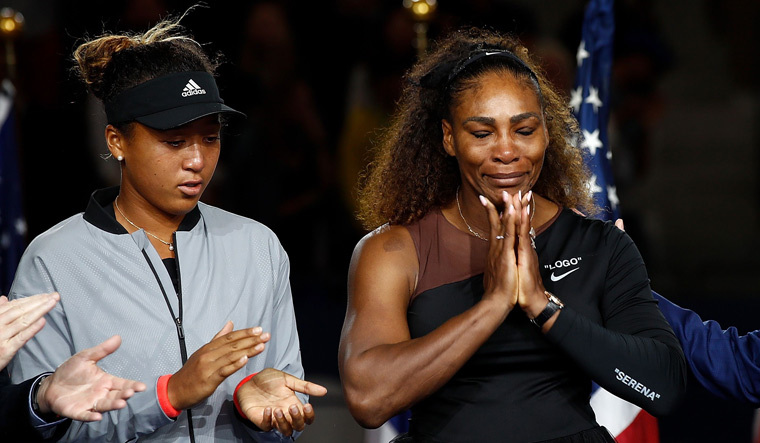 Serena was given three code violations during her 6-2, 6-4 loss to Japan's Naomi Osaka in the final. Chair umpire Carlos Ramos handed her the first code violation after Serena's coach Patrick Mouratoglou was spotted coaching from the player's box. The 23-time champion maintained that she did not see the gestures from Mouratoglou during the match, and said that she would rather lose than cheat to win. She was later handed a point penalty after she smashed her racquet in frustration. 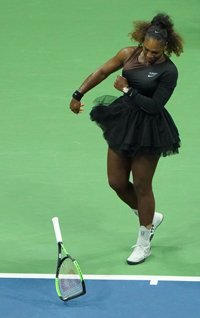 Following a heated argument over the penalty, with Serena demanding an apology and calling the umpire a “liar” and a “thief” for “stealing a point” from her, she was docked a game, which worked in Osaka's favour who was then one game away from her first grand slam victory. Serena went on to call out the sexism and double standard that prevailed in tennis. She said that male players get away with far worse things. The United Stated Tennis Association (USTA) fined Serena USD 17,000 for the code violations she received during the match.